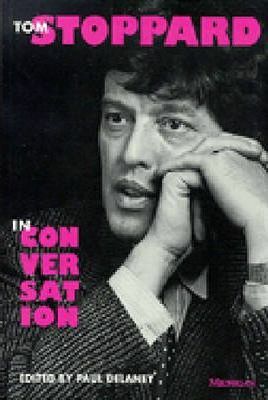 This collection of interviews with British playwright Tom Stoppard, author of such well-known comedies as Travesties, Jumpers, and Rosencrantz and Guildenstern Are Dead, brings together for the first time Stoppard's most significant assessments of his own work. A wide range of discussions are featured, from extensive conversations with the editors of Theatre Quarterly and Gambit to important interviews in lesser-known periodicals. The interviews include the playwright's unguarded comments to the daily press, from those of a dazzled young Stoppard the morning after the triumphant opening of Rosencrantz and Guildenstern to those of a veteran playwright still smarting from caustic reviews 36 hours after the opening of Hapgood. The interviews cover the full range of Stoppard's work, from his adaptations for the stage to his increasing involvement in film, and this volume makes many of them available for the first time. Also appearing for the first time in print are transcripts of radio interviews and an informal lecture by Stoppard called "The Event and the Text." Tom Stoppard's conversations about his work shed light on questions of authorial intent and the creative process. Debates over interpretations of the plays will be enhanced by this record of Stoppard's own perceptions and insights. The collection also includes the most extensive bibliography and discography ever compiled of Stoppard's print interviews, broadcast interviews, and lectures. Witty, illuminating, and informative, Tom Stoppard in Conversation will be of interest to scholars, students, directors, actors, and fans of Stoppard's work. Paul Delaney is Professor of English at Westmont College and the author of Tom Stoppard: The Moral Vision of the Major Plays.